The value of information technology (IT) in today’s organizations is constantly debated. Researchers and practitioners have examined organizations to try to discover causal links between competitive advantage and IT. This paper presents and details a model that depicts a possible connection between competitive advantage and IT. 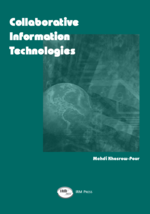 Furthermore, this paper attempts to show how one major component of the overall IT resources, the IT infrastructure, might yield sustained competitive advantage for an organization. More precisely, IT infrastructure flexibility is examined as an enabler of “core competencies” that have been closely related to sustained competitive advantage in the research literature. The core competencies enabled by IT that are the focus of this study are mass customization and time-to-market. By showing that IT infrastructure flexibility acts as an enabler of these competencies, the relationship to sustained competitive advantage is demonstrated.